With just a weekend between us and the second session of the 30th Alaska Legislature, there’s more than enough gossip and rumors to go around. Other than legislators dragging their heels on a budget and a fiscal plan, who knows what’s in store for the next 90-plus day, but if today’s talk is anything to go by, then we’re in for a fun—and less-than-productive—session. That’s one observer’s comment after hearing that the Sen. Kevin Meyer‘s campaign for lieutenant governor sent texts asking lobbyists something along the lines of “Can Kevin count on you to show up? Or make a contribution before session starts?” The Anchorage Republican held a Jan. 9 fundraiser in Anchorage. Meyer was the legislator so upset by Rep. Gabrielle LeDoux‘s lobbyist-funded PAC that he introduced a bill to effectively ban it. Guess it’s different when you’re running for lieutenant governor. Meanwhile, everyone else is rushing to get their fundraisers in before everyone has to knock it off and Monday looks to be a busy night in Juneau. Though Rep. Tammie Wilson‘s concern about harassment in the capitol is much more understandable given her account of being bullied at the hands of former legislator Bill Stoltze, we’re still confused by the North Pole legislator’s fixation on Rep. Gabrielle LeDoux. After the stories broke (hat tip to the Alaska Landmine), Wilson went to Facebook to call on people to show up to LeDoux’s Thursday-night townhall to harass confront LeDoux about her involvement with the accusations against Rep. Dean Westlake (which we will once again note don’t appear to have ever made it to LeDoux when they were first raised). It didn’t sound like anyone answered the call, though the call to action did get likes from Reps. Charisse Millett and Colleen Sullivan-Leonard. 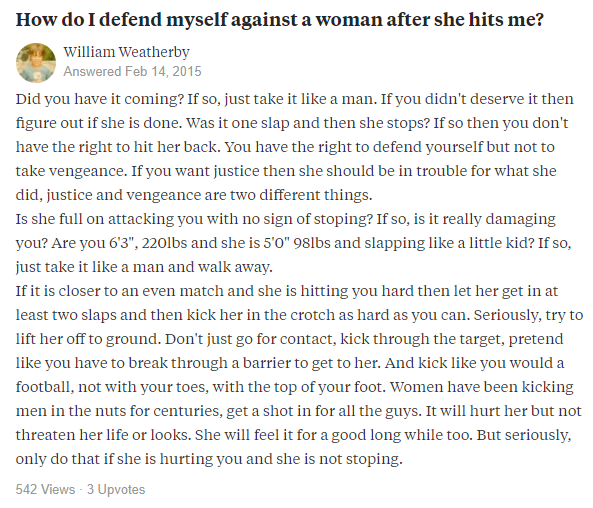 The Alaska Republican Party‘s pick to run against House Speaker Bryce Edgmon has an interesting profile on Quora with a few answers we imagine the party would’ve liked to have reviewed—or at least deleted—before throwing their support so eagerly behind William Weatherby. The account (which has plenty of answers about Alaska and a profile picture matching one posted to Facebook) has been circulating through political circles with a few select posts raising eyebrows, such as dishing out advice on defending yourself against a woman and explaining that AIDS is a result of original sin. 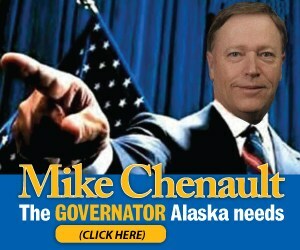 Multiple folks have sent us this online ad for Rep. Mike Chenault‘s gubernatorial campaign. There’s a lot going on here, but what we will say is this is the most anybody’s been talking about the former House Speaker’s gubernatorial campaign in a while. It’s that time of year when legislators are settling in to Juneau, with some bringing more than others. The Certain Conservative Mat-Su Representative is reportedly giving Sen. Donny Olson a run for taxpayer money when it comes to overpacking. That’s how Politico described Sikta Democratic Rep. Jonathan Kreiss-Tomkins in an excellent long-form story on how a new wave of party-bucking young progressives are turning deep-red Alaska a “blueish hue of purple.” The story also heaps credit on “the mythical Forrest Dunbar” and John-Henry Heckendorn. It sounds like just about everyone who’s eligible to replace Sen. Mike Dunleavy is jumping at the opportunity. Both sitting Reps. George Raushcer and David Eastman have expressed interest, and we hear that Rep. Wes Keller has also looked into the position. 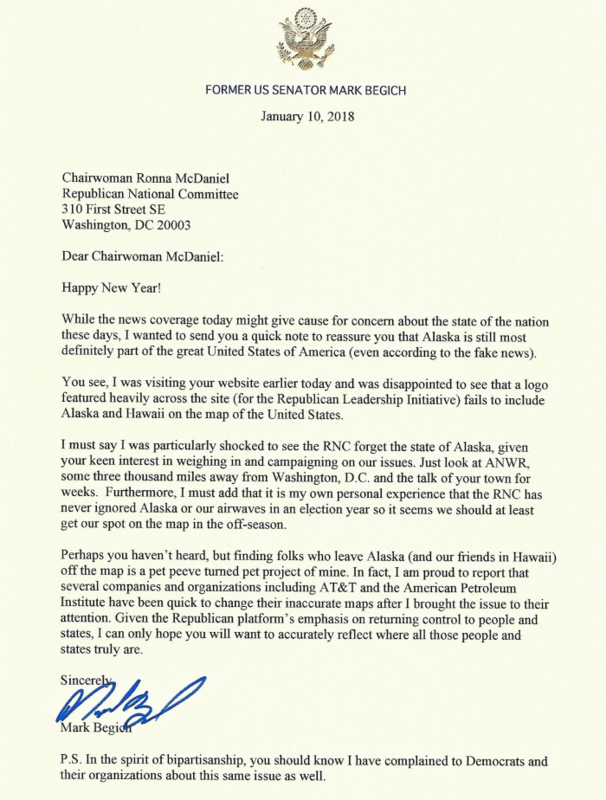 The one guy we can count on not being on the list forwarded to Walker is former Rep. Jim Colver, who felt his district’s ire in 2016 for his forays into bipartisanship when the district officials endorsed Rauscher over Colver in the primary. There were rumblings throughout the day on Thursday that something was afoot with the governor’s State of the State address. Word was the Senate was considering pushing for it to be rescheduled for some reason, but it sounds like it was scrapped before it gained much traction. For now, pencil in Thursday night, as usual, for the address. Word is Gov. Bill Walker has been taking some very interesting meetings this month. There’s speculation from our pal over at The Alaska Landmine that it was with the head honchos of big energy producing companies. Whatever it is, we’re told it’ll be big news once it’s out. We’re glad to see Rep. Chris Tuck has filed a bill that explicitly allows distilleries to use mixers and other ingredients in their on-site cocktails. The Alaska Alcohol and Marijuana Control Office put the kibosh on mixers earlier this year, determining through a frustratingly twisted reading of the law that such things as mixers and later “fun” weren’t permitted in distilleries. Expect stiff opposition from CHARR. We’ve heard that legislative aide Pete Ecklund moved over to Sen. Lyman Hoffman’s office to handle the operating budget. Natasha McClanahan recently joined Sen. Mia Costello‘s office. It’s an interesting move because McClanahan worked as legislative liaison for the Department of Corrections, and Costello is pushing ahead with her bill to fully repeal Senate Bill 91. Legislative newcomer (and one-time Juneau road trip buddy to your humble TMS editor) Tristan Walsh also joined Rep. Les Gara‘s office. Walsh most recently worked at the American Cancer Society, where he organized patient programs for newly diagnosed cancer patients. Juneau’s Sandy Beach is a popular hangout during session. It’s an quick and easy getaway from the capitol and a perfect place to run a dog that’s been inside all day, which was just what legislative staffers Pete Fellman and Jane Pierson were doing last weekend when they ran into what appears to be a wolf (later confirmed by Fellman’s boss, the outdoorsy part-time trapper Sen. Click Bishop). Any potential disaster was avoided, though, by the couple’s fluffy mutt Bingo, who approached the wolf with a friendly, peace-keeping tail wag. The couple’s other dog, Colby (the probable dog mom of your humble editor’s doofy cattle dog, Tuco), was off in hanging out in the grass. 1 Comment on "Friday in the Sun (Jan. 12): ‘Mr. Sanctimonious’ edition"